The Endotine device is a new technology that uses 5 "tines", instead of sutures, to fix the forehead tissue in its new position. The Endotine device is made of absorbable material found in sutures, and gradually disappears over a few months. The ENDOTINE Forehead is especially designed so that it can lift and maintain skin and soft tissue when performing the Forehead Lifting. 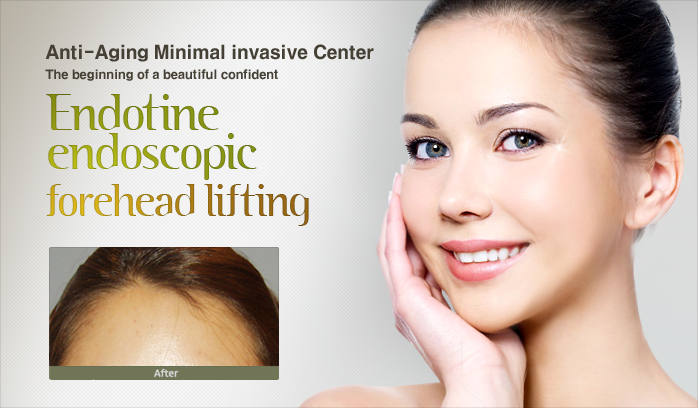 The ENDOTINE Forehead fixes the scalp tissue by contacting it with several wedges so that an uniformed lifting effect can be achieved. Endotines can add stability and strength to soft tissue fixation, making the outcome of your lift more stable. 02What are the merits of Endotine endoscopic forehead lifting? - fully absorbed within a year and disappear from the face completely. 03Who is appropriate for Endotine endoscopic forehead lifting?